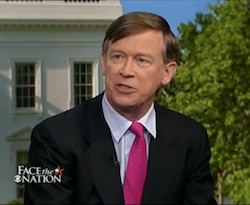 Governor Hickenlooper has an amazing ability to say absolutely nothing during interviews with the press. While we’re sure his staff are appreciative, the rest of Colorado’s citizens (and the press) are probably less than pleased to get a stream of hot air in response to serious, substantive questions. I’ll take all of the above for 400, Alex.